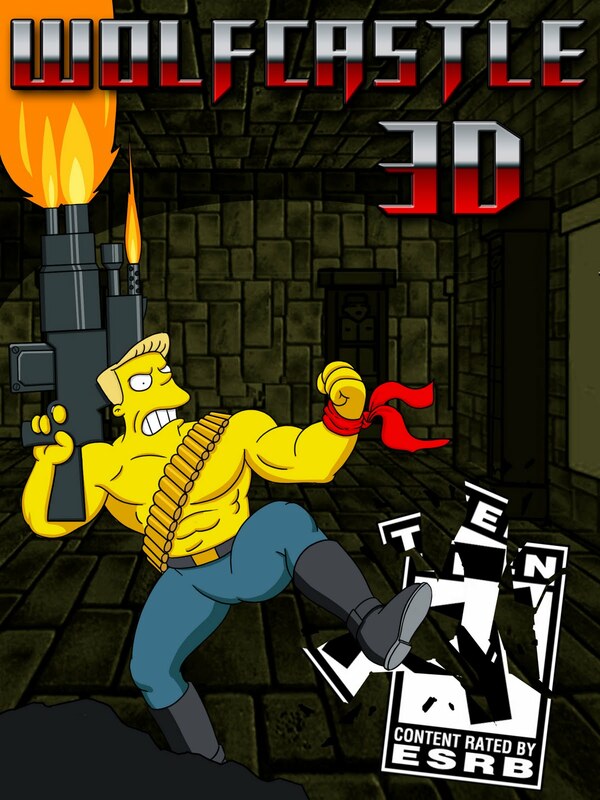 Back in 2006 I worked as a Concept Artist on "The Simpsons Game" for Electronic Arts. I've recently been backing up some files when I came across a few images that I had created for the game. I'm not sure if these even made it into the game. I know for sure that "The Shims" was cut because, as I learned when I moved to The Sims team at EA, they weren't very pleased with the image and didn't give it the go-ahead. One of my producers on the project had tasked me with creating some images that would appear either at the Game Stop store in Springfield or somewhere in the game later. 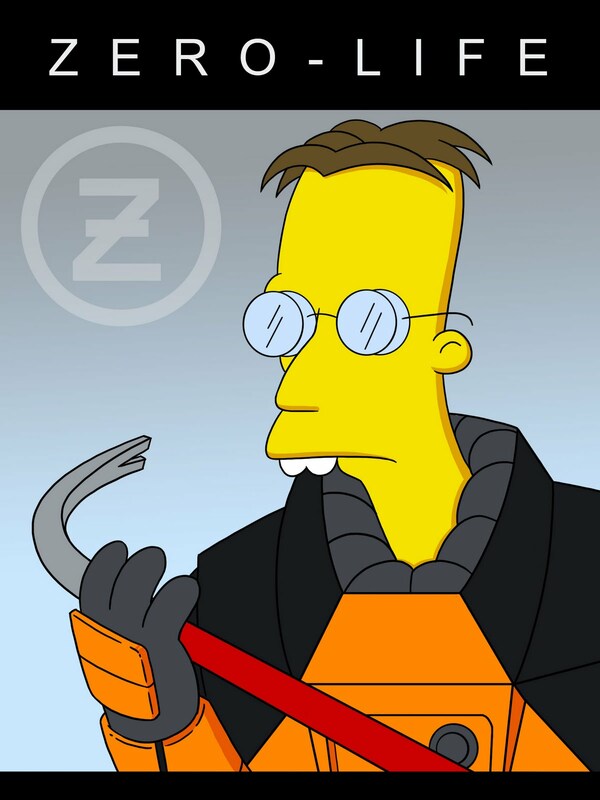 So I decided to take some of my favorite games as well as some beloved EA Franchises, and "simpsonize" them. Here are a few! I believe this one was a dual effort of mine and another artist. I basically took his rough sketch and cleaned it up. I'm a huge Half-Life fan, so I would take any chance to squeeze in a reference to that series. Flavin! This was my attempt to remind the fine folks at EA that they used to have an awesome football series that didn't include the word "Madden" followed by a number. I'm not a sports guy at all... 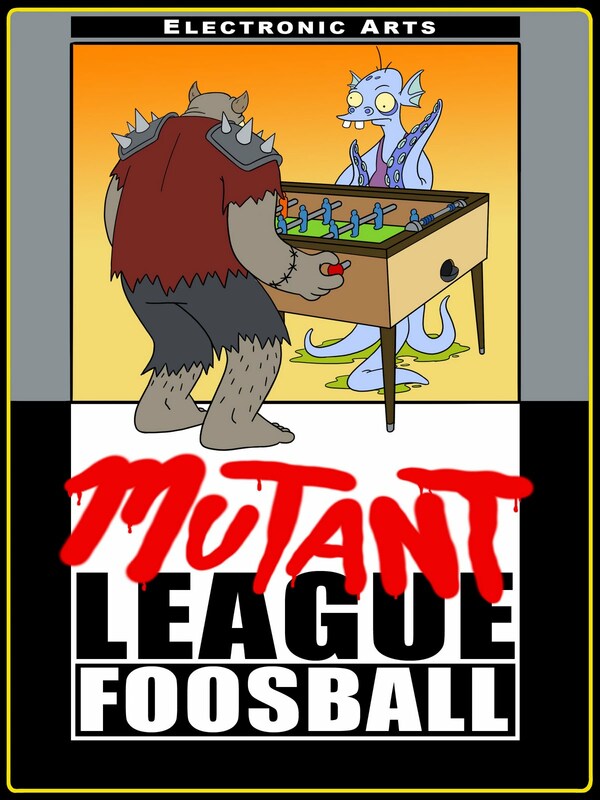 I avoid sports like the plague, but I LOVED "Mutant League Football" on the Genesis. 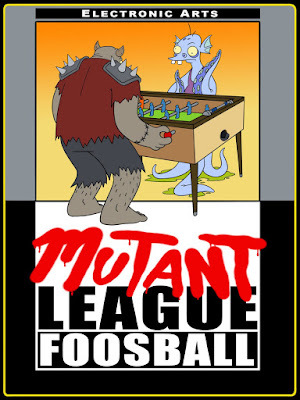 I would happily take an XBLA reboot of Mutant League Football. This was an interesting one. 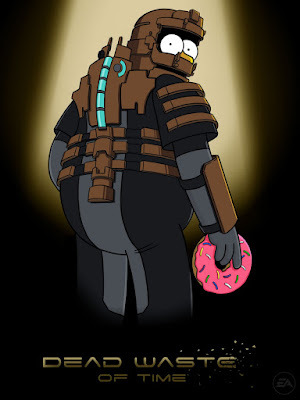 I had moved onto Dead Space after wrapping up work on the Simpsons, but the game was still in development for about another year. I had some downtime on Dead Space, and I was lent out to The Simpsons team for about a week. I drew this up for the studio as an homage to what I knew was going to be a great classic game. 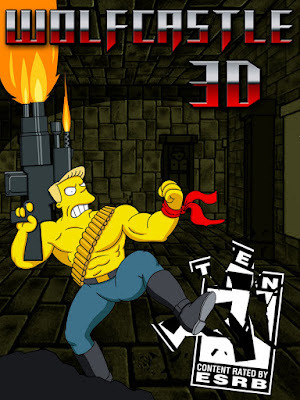 The problem was that the Simpsons Game was going to be released before Dead Space was even announced. I'm not sure if it made it into the game or not, but they did turn this into a poster that was hung up around the studio for a while. Love the entire group of mash up man. Excellent work! lol love the Dead Simpsons one... awesome stuff. i love robots, aliens, and zombies.